I had made this little fella a while back, but I forgot to share him. Shame on me. 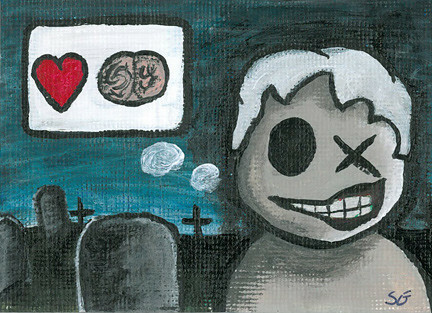 He was part of the Cute Zombie ATC Swap over at Swap-Bot. I liked him an awful lot and was sad to see him go. I think as the Halloween season gets closer, I'll make another one similar to this. Maybe a bit larger and more cleaned up looking.